Calwest Construction is different from other mold remediation providers, which tend to demolish far more of the structure than necessary. We’ve witnessed the sloppy aftermath of typical mold removal efforts, and seen perfectly reusable construction materials needlessly destroyed. This not only increases the restoration costs for property owners, we believe it’s a wasteful, inefficient way to serve clients. At Calwest Construction, we are aggressive in removing mold damage, but we do it with surgical precision to preserve as much of the original structure as possible. We have carefully removed and replaced kitchen cabinetry while preserving the costly granite countertops above them. We have salvaged doors and drawers from mold-infested cabinets, and reused them in their replacements. The result? Hazard removal in less time and at a lower cost. Mold destroys. 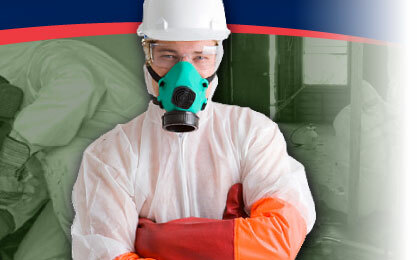 Mold remediation shouldn’t!